A bachelor degree with a 2:2 (hons) in an engineering, public health or international development-related subject. Aimed at consultants, and working professionals in national and local government, non-government organisations, international development organisations and public health agencies, it has a strong focus on developing practical and policy skills and addresses the critical future challenges of climate change, population growth and urbanisation. You’ll develop your understanding of technical interventions in water supply, sanitation and solid waste management. Run in conjunction with the Nuffield Centre for International Health and Development, one of the UK’s preeminent public health research centres, and informed by the work in our Water, Public Health and Environmental Engineering research theme, this programme will give you the knowledge and skills to identify and deliver investments that will have major benefits for health and development. Renowned worldwide for its pioneering work in the global south, the research in our Water, Public Health and Environmental Engineering theme feeds directly into this course. Our research considers pollutants and microorganisms in air, waste, land and water with a strong emphasis on the interrelationships between energy, sustainability, public health and environmental impact. Our work is truly interdisciplinary, bringing together a diverse group of international researchers considering engineering aspects with societal and economic factors. Staff teaching on this course have close working links with a number of key institutions in the field of international development, including UNICEF, the World Bank, the World Health Organization, the Water Supply and Sanitation Collaborative Council, WaterAid, World Vision, the Bill and Melinda Gates Foundation and the African Development Bank. You’ll also benefit from using our specialist facilities, such as our public health labs with separate areas for solid waste, water and wastewater, and a class II microbiology lab and clean room. We have all the specialist software you’ll need for your programme, and you’ll have access to a dedicated study suite for Masters students. 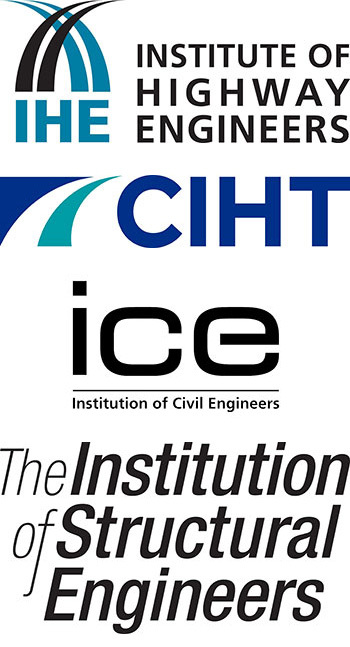 This degree is accredited by the Joint Board of Moderators as meeting the requirements for Further Learning for a Chartered Engineer (CEng) for candidates who have already acquired a partial CEng accredited undergraduate first degree. This course is also accredited by EUR-ACE, the European quality label for engineering degree programmes at Bachelor and Master level. A series of compulsory modules will develop your knowledge and skills in a range of areas. You’ll gain an understanding of the wider issues surrounding public health around the world and how they impact on policy and practice, as well as current debates around the complex topics of health, equity and development understand how health policy is shaped and planned. At the same time, you’ll be introduced to the principles and practice of public health engineering to bridge the gap between theory, policy and practice and explore key technologies in water supply, sanitation, wastewater and solid waste management. You’ll also consider engineering responses to complex emergencies, especially regarding the provision of water supply, sanitary services and shelter. You’ll build your knowledge of technical issues in water resource and sold waste management, as well as natural wastewater treatment, and undertake an independent research project. Working with your supervisor, you’ll complete this research or design-based project during the summer months at the end of the programme to demonstrate the knowledge and skills you’ve gained. Take a look at the Water, Sanitation and Health Engineering module descriptions for more detail on what you will study. We will also consider applicants with equivalent academic or professional qualifications in an engineering or natural science subject. Applicants without formal qualifications who have a proven track record in work will also be considered. This programme will equip you with a unique blend of civil engineering and public health policy skills. As a result, you’ll be ideally placed to take up a senior position in public health ministries and public health departments in countries of the global south, or to work with international development agencies and international non-governmental organisations (NGOs). Graduates have gone on to work for organisations such as WaterAid Liberia/Sierra Leone, Greater Manchester Waste Disposal Authority and the Center for Disease Control and Prevention. You’ll have access to the wide range of engineering and computing careers resources held by our Employability team in our dedicated Employability Suite. You’ll have the chance to attend industry presentations book appointments with qualified careers consultants and take part in employability workshops. Our annual STEM Careers Fair provides further opportunities to explore your career options with some of the UK’s leading employers. The University's Careers Centre also provide a range of help and advice to help you plan your career and make well-informed decisions along the way, even after you graduate.